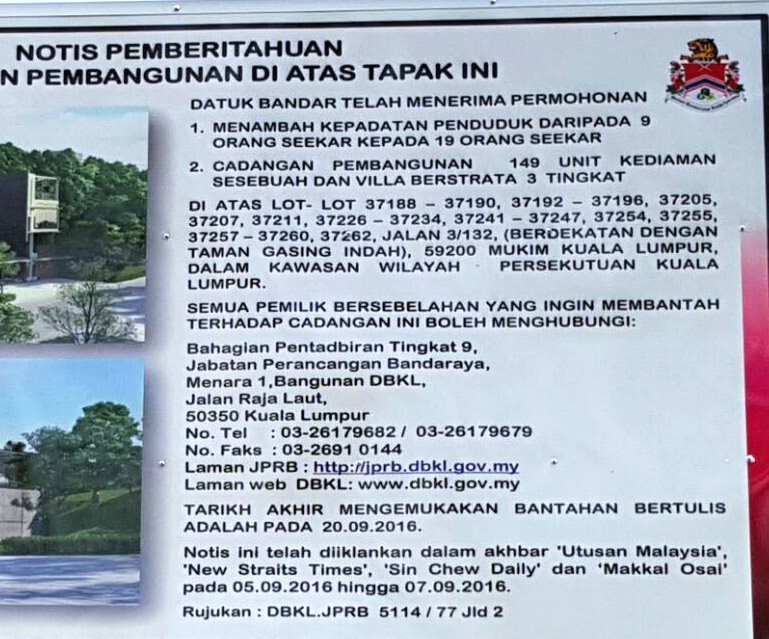 You are currently browsing the tag archive for the ‘Bukit Gasing (KL-Side)’ tag. 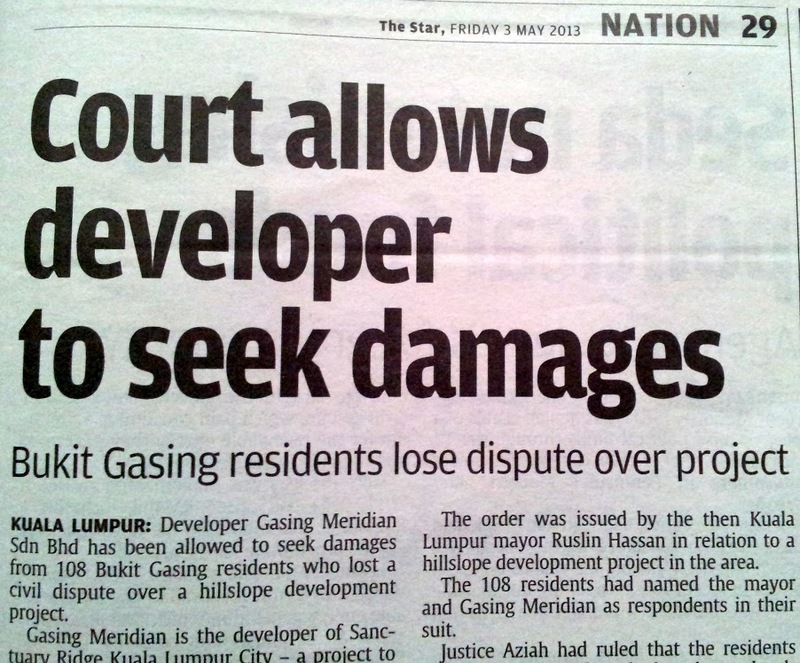 The KL High Court’s decision on 2nd May 2013 to allow the developer, Gasing Meridian Sdn Bhd, to seek damages from the petitioners of Bukit Gasing residents is a very sad day for concerned citizens of this country. The residents sought a judicial review for the Mayor of DBKL to grant us a public hearing to alleviate our fears for the lives and safety of the residents in the surrounding area. For the residents efforts, the developer is asking for damages, which in the residents’ view, are unfair and unjustified as this is a public interest case.. The residents have no choice but to appeal the court’s decision. In this age where citizens have to be concerned about the environment and the consequence of development, as a fundamental right to live in an environment which does not endanger their right to a home or worried of losing their right to a home, this decision, in a sense is, a denial of their fundamental right. Hereafter, it will deprive concerned citizens from seeking remedy in the Courts of Justice and give the developers special rights. This is against the constitution because there is no equality of rights between developers and citizens. The role of the legal system is of great public concern. The public needs to know: today is our homes, tomorrow it will be theirs. The coming Election is of utmost importance to protect our homes and the right to live in a safe environment. We need to change the laws, and only a Government concerned for the people can. 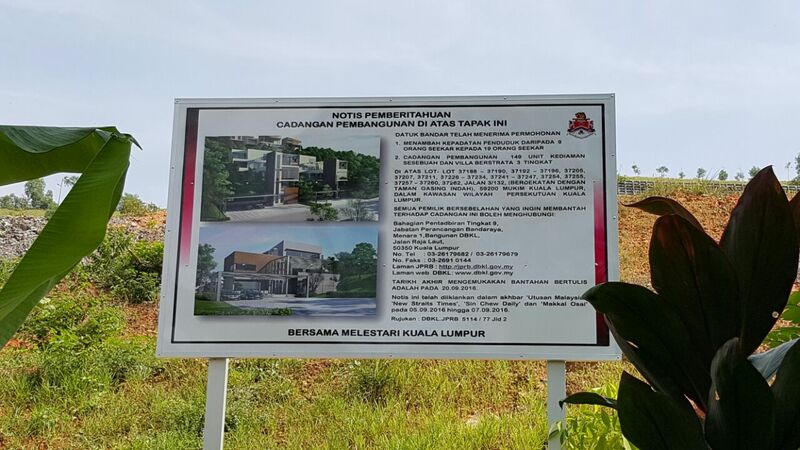 Towards end of January this year, residents next to the Gasing Meridian Sdn Bhd development on steep hill slopes were very concerned as a landslide next to Maxwell Towers was detected. 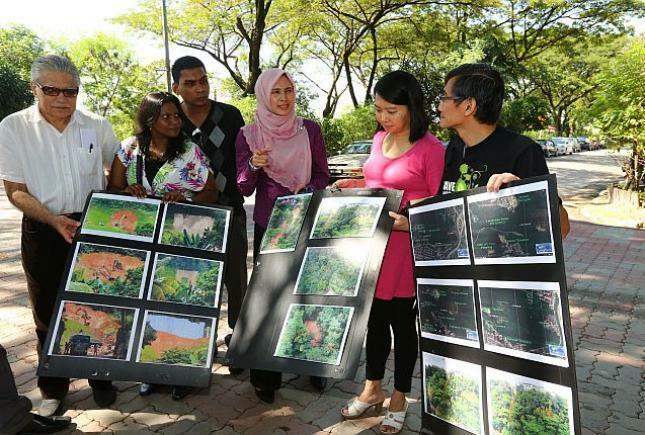 Supported by YB Nurul Izzah (Lembah Pantai), Adun Hannah Yeoh (represent Bukit Gasing) and Kasthuri Patto a press conference was called on 29th January 2013 near to the entrance of the development site. 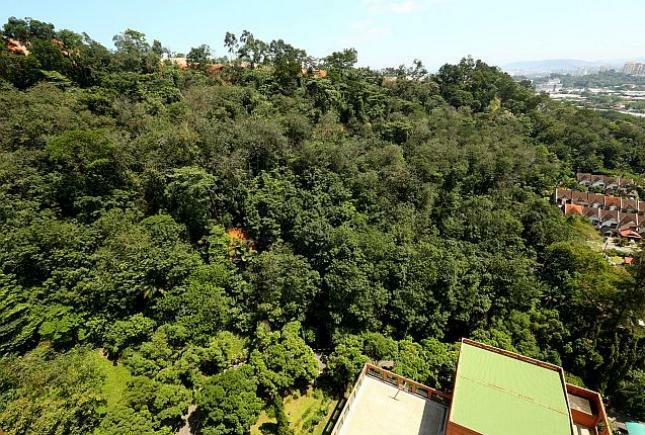 Despite photos showing the location of the landslides (as can be seen on this blog), the developer categorically denied there were any landslides. As to be expected, DBKL and the Minister for Federal Territory and Well Being were not interested in our concerns. Last Thursday and Friday (25th and 26th April) there was again heavy rain and winds. This resulted in a further landslide and a mud flow washed into a house next to Maxwell Towers entrance. 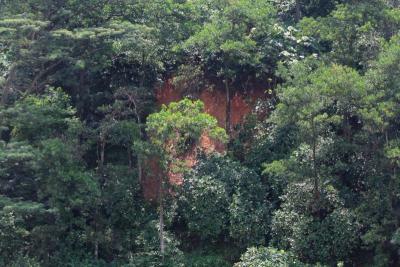 As you can see from above, the escalation of development on the steep hill slopes has resulted in a second landslide and causing slit to be washed down onto the roads below. The landslide that was denied by the developer is now covered with plastic sheets. 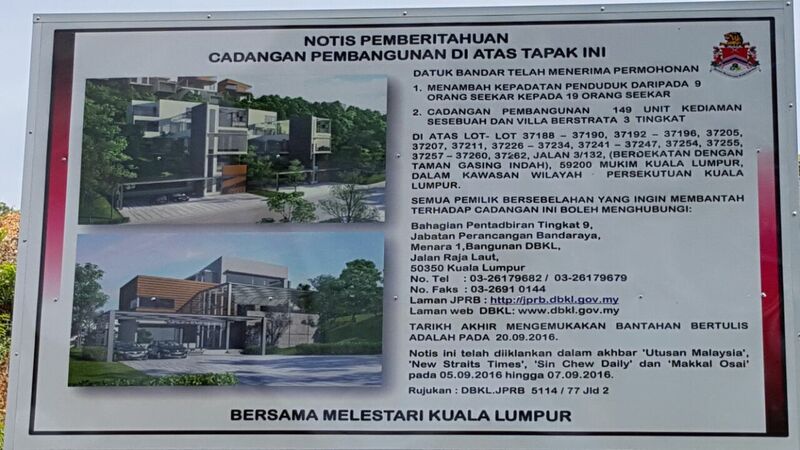 MBPJ is beginning to take serious interest in the recent landslides on PJ Bukit Gasing. 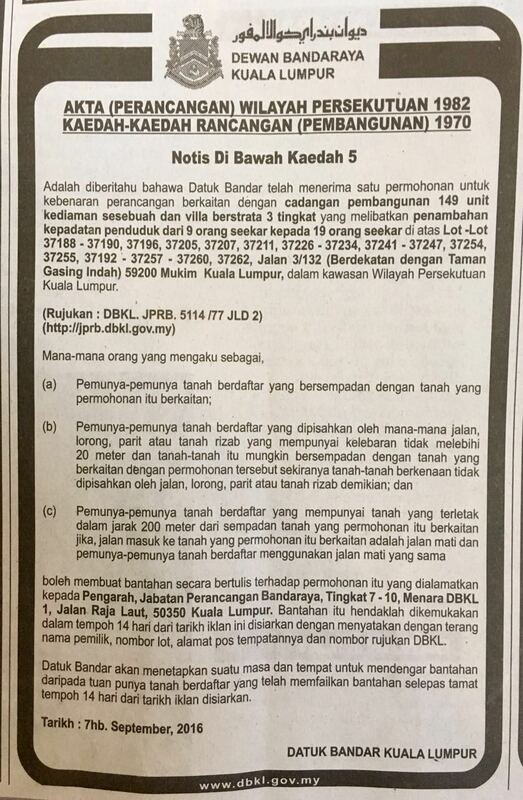 Will DBKL and Raja Nong Cik really walk the talk of “Rakyat Didahulukan”? Election is coming. It’s time we act wisely and elect those that really care about our safety and implement environmentally sustainable developments.